Ross Jaffe is a venture capitalist who focuses on early-stage investing in medical technology. Ross is a Managing Director of Versant Ventures, a firm he co-founded in 1999 after spending nine years at Brentwood Venture Capital where, as a general partner, he led investments in medical devices, drug delivery, and healthcare information systems companies. During his more than twenty six years in venture capital, Ross has served on the boards of a number of successful life science companies, including Acclarent, St Francis Medical Technologies, Ablation Frontiers, Insulet, Therasense, Novacept, MicroInterventional Systems, and Webster Laboratories. He currently serves on the boards of AlterG and Minerva Surgical. Ross has been recognized on Forbes Magazine’s “Midas List” of the top 100 venture capitalists in 2008, 2011, and 2012. Active in the healthcare venture capital community, Ross has served as a Director of the National Venture Capital Association (NVCA) and of the Western Association of Venture Capitalists (WAVC). 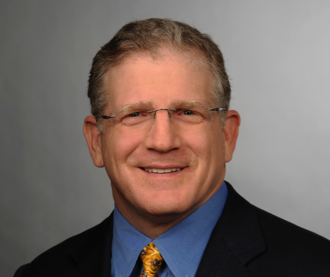 He is currently a Director of the Medical Device Innovation Consortium (MDIC), an FDA-industry collaboration to advance regulatory science, where he is the Board Champion for the Patient Centered Benefit-Risk Project. Ross also chairs the Board of Overseers of the Geisel School of Medicine at Dartmouth. In 2017, Ross was honored for his work on behalf of the venture capital industry and medical innovation by the NVCA with its Outstanding Service Award. Ross is trained as an internal medicine physician, having completed his residency at the University of California, San Francisco, where he remained a part-time physician until 1995. He earned his BA in Policy Studies from Dartmouth in 1980, his MD from Johns Hopkins in 1985, and his MBA from Stanford in 1990.